Since the early 90s, special agents Fox Mulder and Dana Scully have been investigating paranormal cases and stealing the hearts of science fiction enthusiasts who crave their supernatural experiences and extraterrestrial encounters. When it was announced that the two agents would be coming back for a six-episode miniseries, it was inevitable that fans were giddy with excitement, hoping for the same wild ride they were taken on every time a new episode premiered in the past. Well, the premiere episode finally aired – so did it really live up to expectations? “My Struggle” opens with a flashback sequence, giving us details about alien-related events up to when the two agents took on their investigations of the X-Files. 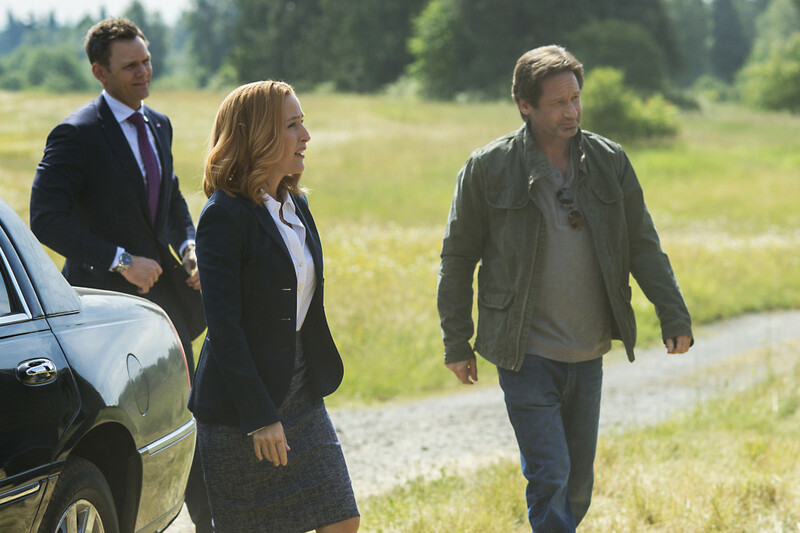 About fourteen years after the end of the original series, Mulder and Scully reunite in Washington with a new case that, predictably, deal with alien abductions. The episode goes on to reveal a sort of complicated and convoluted storyline and familiar themes of conspiracy theories hid by the government. Quite similar to the best episodes of the 90s version, which can still be seen on local channels on cable tv, this new X-Files series boasts the same drama, horror and science fiction all wrapped into a neat little package. Although there was both much hype and inevitable skepticism about this reboot, fans of the older series are sure to enjoy this new miniseries even if simply for the nostalgia factor. Despite some harsh criticisms that it was messily written and the characters have lost their way, The X-Files still offers that special mystery and intrigue of the unknown that mimics the classic show. Admittedly, the writing is less than what the standard was for the older series and is a bit forced in some specific moments – but the same themes are there. It has also grown with the times, improving on the special effects that we have developed in the past two decades. Most of all, Scully and Mulder are reunited. As with the original, David Duchovny and Gillian Anderson have great chemistry together and play off each other’s acting very well. It’s heartwarming to see them back together again in the paranormal-tinged world of The X-Files. Sure, perhaps they may be a little different – and a little more exhausted and lost – but the two still have the same relationship they once did despite however many years have passed. Many seem to forget that this show isn’t just about aliens, but about humanity, our relationships and the human condition which all very carefully plays out through our actors. Despite this episode’s underwhelming writing and uneven pacing, it is still an experience an X-Files fan will not want to miss. Catering to newer times and keeping up with current events, “My Struggle” attempts to bring newer ideas in different directions – albeit a little messily. However, the spark between Scully and Mulder never burns out and truly brings the episode together. With only five more episodes left, it’ll be worth it just to watch our two favorite special agents work together in a world full of monsters.